He wasn’t born Frank Randle, and it would take time for Arthur Hughes of Aspull (a village in Wigan) to settle into a name. To settle was never in his nature. Not in marriage or outside it, not on stage or off it. Only death parted him from Queenie, his Roman Catholic wife. Though unfaithful himself, he was fiercely, hypocritically jealous of her. A serial philanderer, falling in and out of love with the company he built around him, firing them, only to forgive them the following day – he kept them on their toes. “Geroff mi foot!” was one of his catchphrases. 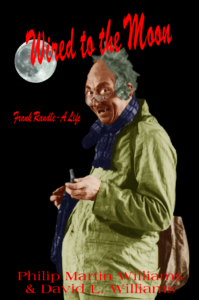 Randle took time to find his feet as a character comedian, trying his hand variously as a comedic acrobat, a tram conductor, an Arthur Twist who was not quite the finished Frank. Nor was Randle, perhaps, ever the finished Frank; rather he was the thin skin over which he wore his turns – as a hapless pleasure boat captain, lascivious rambler, and dipsomaniac grandfather. In the days of stand-up, his character comedy was ahead of its time, and he chafed against his era as he bridled against everything. When theatrical scripts required the approval of the Lord Chamberlain, Randle was only too happy to disoblige, deviating from them with contrarian glee. He fought a series of skirmishes on this front with Harry Barnes, the chief constable of Blackpool, remarking that “some of my finest performances were on the stage of Blackpool Magistrates’ Court”. So vivid were his actual exploits, it’s difficult to distinguish them from the apocryphal. In response to one of Barnes’s bans, did he really plot to bomb Blackpool Tower with toilet rolls, on a light aircraft hired from Squire’s Gate? Delightful though the notion might be, could touts realistically have contrived to sell seats in the public galleries to his various court room appearances? 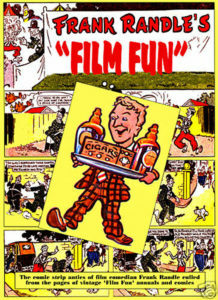 Can it be true that he was a bigger box office draw than Errol Flynn? Born into an analogue world, despite his success on celluloid (with John E. Blakely’s Mancunian Films), Randle has left little in the way of a digital afterlife. To his shade’s undoubted chagrin, he has been eclipsed in posterity by his better-served chief rival, George Formby. Some tales are a matter of public record. Randle resented Formby, envied his fame, begrudged him his father. Rubbing salt into the wound, Formby senior had gone before his son in showbusiness, whereas Randle’s father had merely gone. At the height of the rivalry, they challenged one another to ascend Blackpool Tower like comedic King Kongs, before Formby’s insurers – prudently enough – vetoed the enterprise. The consensus was that he was ‘moon mad’, although his crate-sized appetite for Guinness can’t have helped to keep him on an even keel. He could fail to arrive for a performance, only to appear – in all innocence – the following day, without apology or explanation. 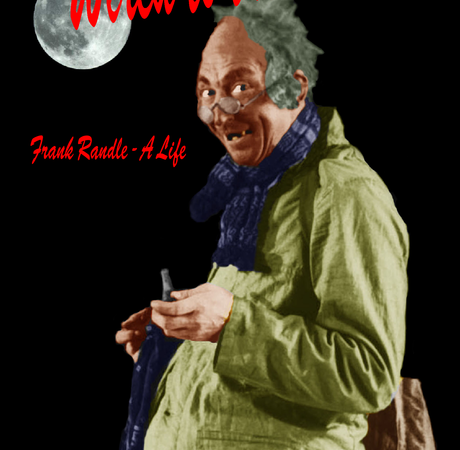 A biography of Randle’s early life, The Theatrical World Of Arthur Twist is available from History On Your Doorstep publications.